Chemists cut half the fat content from chocolate with fruit juice. Scientists from the University of Warwick have just found a way to replace up to 50 percent of the fat in chocolate with fruit juice, according to a University of Warwick press release. Most chocolate bars have a substantial amount of cocoa butter and milk fat. These contribute to the flavor and texture of chocolate, but they also make it fattening. University of Warwick chemists found a way to remove much of the cocoa butter and milk fat from chocolate while preserving the texture. They removed the fats and replaced them with microscopic droplets of juice measuring less than 30 micrometers in diameter. A process called Pickering emulsion was used to infuse the juices, usually orange and cranberry, into the chocolate. Though this method does impart a fruity taste on the chocolate, it does not change its texture or mouth-feel. Critically, this method does not radically alter the crystal structure of the fats in the chocolate. The structure is responsible for the smooth, firm texture of chocolate and for the ability of chocolate to melt in the mouth. It is even possible to reduce the fruity flavor of the juice-infused chocolate. Instead of fruit juice, water and vitamin C can be used to replace the fats and oils removed from the chocolate. Although the chemistry of this method is promising and Mr. Bon used all food-grade ingredients, implementing it may be difficult. 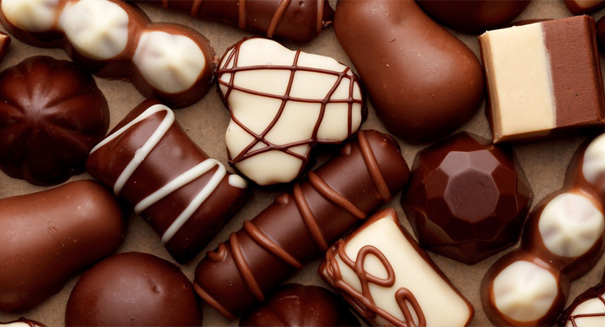 Chocolate, including a variety of “healthier” varieties, is already very popular. Industry leaders may resist implementing a new method of chocolate production when established methods have already proven highly profitable. This is especially true if the method does alter the flavor. Of course, some people may particularly enjoy the flavor of fruit juice-infused chocolate.